KV TECH No. : OEM REF. Clutch fork shaft set of 2 pcs. With bush & key. We offer high quality of Clutch Release Forks. This Clutch Fork is precise in terms of measurements and is also highly durable. 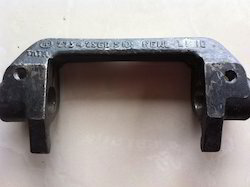 We are devoted towards manufacturing and supplying a qualitative range of Leyland Clutch Fork. We are one of the leading organizations engaged in offering high quality Clutch Forks. These clutch forks are manufactured in sheet metal and forging. We have developed Clutch forks for Toyota, Diahatsu, Kembara, Hino, Mercedes. Our range of Clutch Fork Teeth are produced from certified vendors of the market. Our all products are check in various quality parameters before final dispatch of the products. These products are known for its durability, reliability & long service life.